Olympiacos Piraeus came up with a strong defensive performance to grab an important 76-82 road victory over Laboral Kuxta Vitoria Gasteiz in Group F. Olympiacos held Laboral 19.2 points below its season average at home and received 19 points from Vassilis Spanoulis to improve to 2-0 in the Top 16. Spanoulis nailed 3 three-pointers and in doing so became the 10th player in competition history to make 300 career triples. 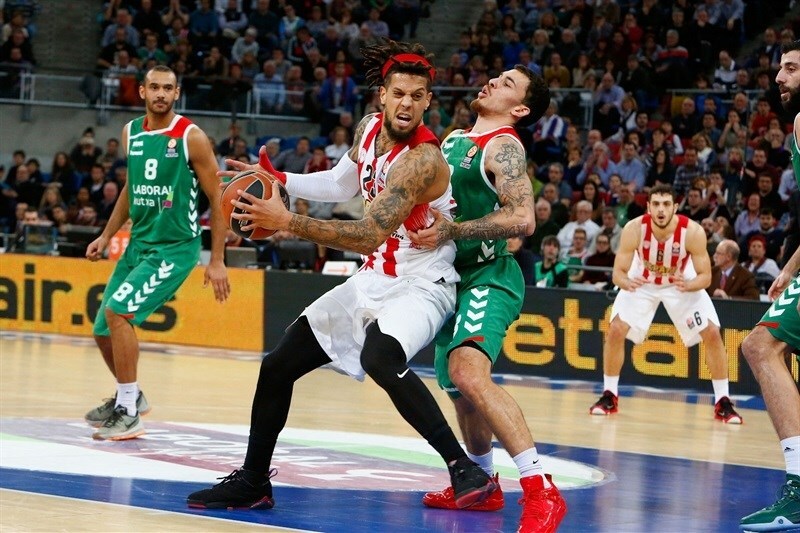 Othello Hunter added 17 points, while Georgios Printezis chipped in 15 points and Vangelos Mantzaris 14 for Olympiacos. 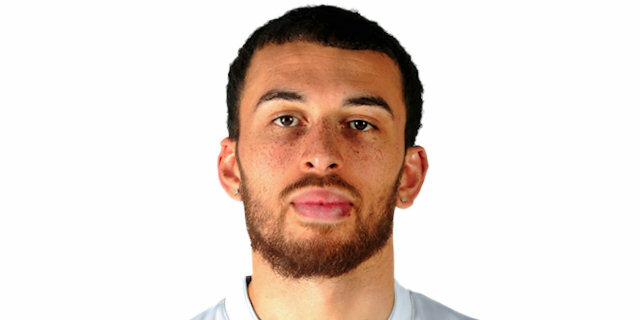 Laboral dropped to 1-1 in the group despite Mike James scoring 16 points. 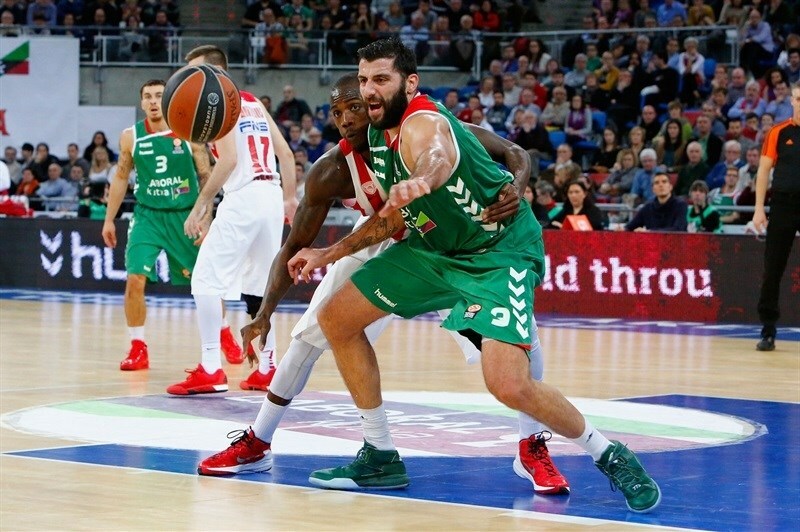 Ioannis Bourousis posted 12 points and 7 rebounds in the loss. It was the third matchup between these teams this season with both sides having won at home during the regular season. 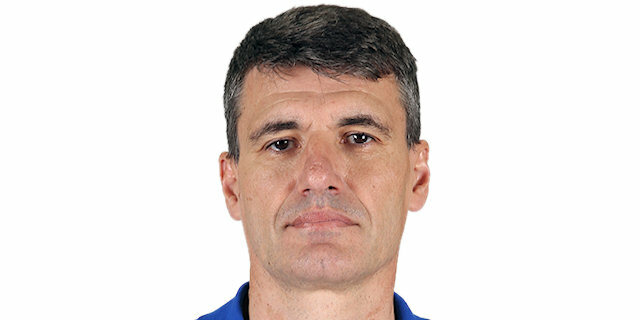 Laboral coach Velimir Perasovic kept the same starting line-up with Darius Adams, Fabien Causeur, Adam Hanga, Toko Shengelia and Ilimane Diop. 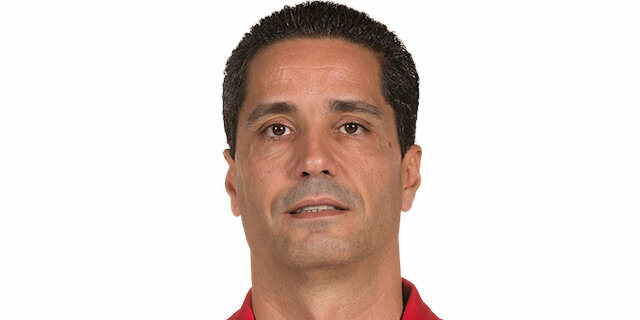 Olympiacos coach Giannis Sfairopoulos made just one change as D.J. Strawberry started for Ioannis Papapetrou alongside Spanoulis, Mantzaris, Printezis and Nikola Milutinov. Adams started the game in great fashion with a driving layup and a pass to Causeur for a layup and a 4-0 lead. Mantzaris got Olympiacos on the board with a three-pointer, but Adams nailed a triple of his own to put Laboral up 7-3. 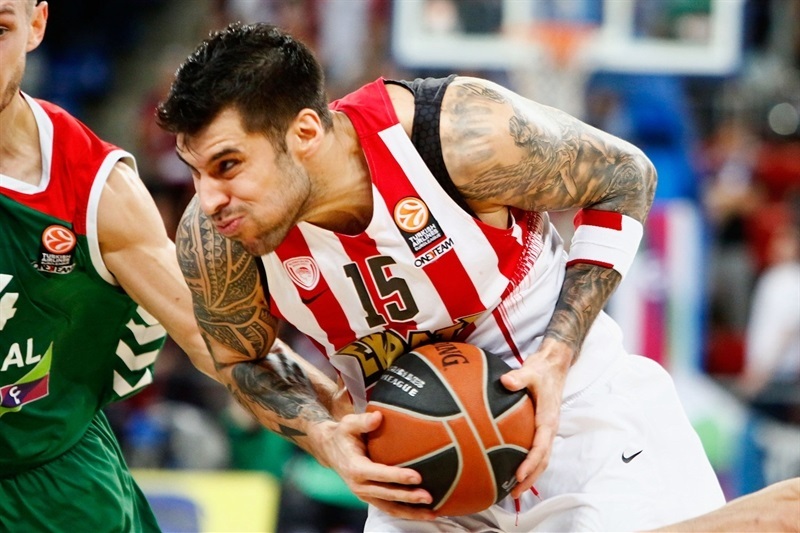 Olympiacos was able to get some stops defensively and Printezis evened the game with a layup. Mantzaris’s second three had the guests ahead 7-10. Shengalia’s free throws stopped the run, but it was 9-13 after Hunter’s three-point play. 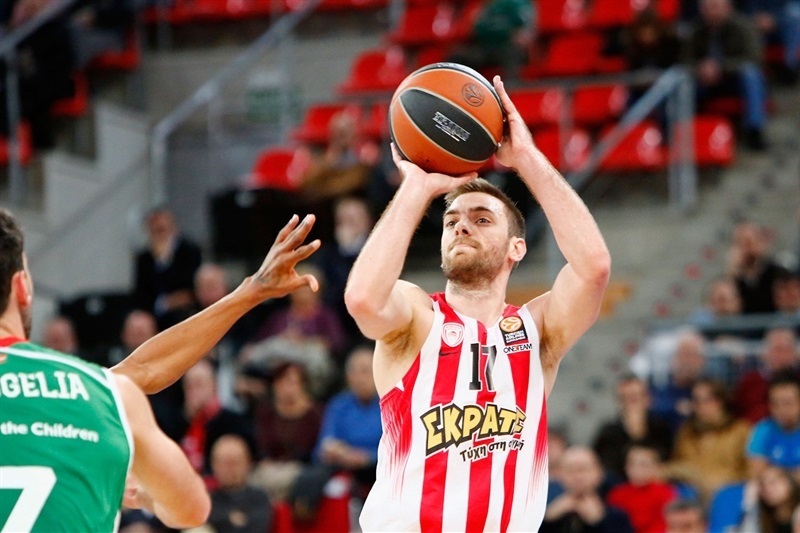 Causeur knocked down a three-pointer, but the Olympiacos offense continued to produce with Mantzaris free throws and another Hunter three-point play to make it 12-20. Bourousis entered the game and had an immediate impact with an inside basket before Shengelia and Hanga both split their free throws to close the gap to 16-20. Olympiacos’s reserves continued to perform with Daniel Hackett and Hunter scoring for a 16-24 lead. Two Bourousis foul shots had the gap down to 18-24 after 10 minutes. Hunter opened the quarter with a dunk to up the cushion to 18-26. Kim Tillie answered with 2 straight baskets for Laboral to trim it to 4 points. 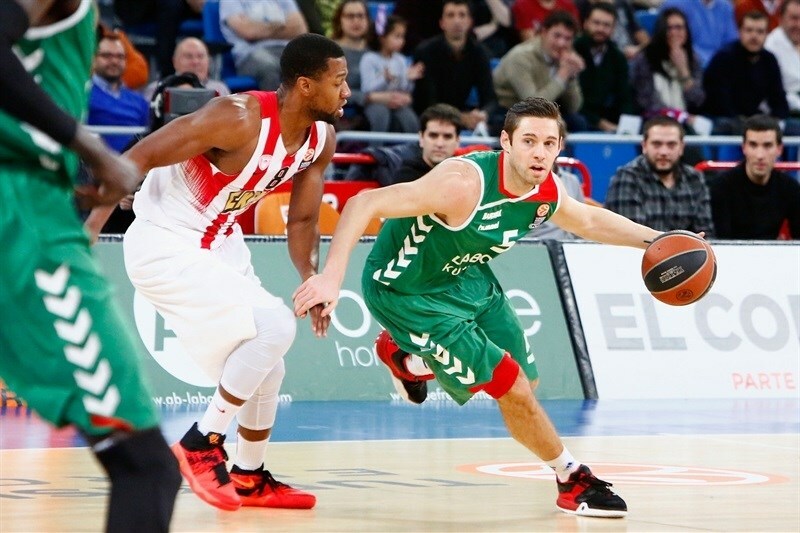 Dimitrios Agravanis came off the bench for Olympiacos to hit a three-pointer that got the lead to 22-29. Laboral was able to come up with some stops with Mike James hitting free throws and a jumper as the deficit came down to 28-29. 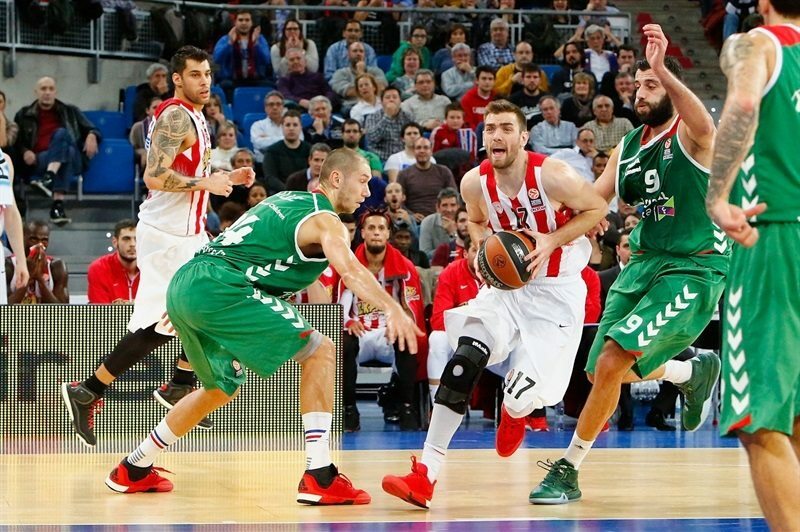 Olympiacos called for a timeout and found some answers with Mantzaris racing past Bourousis for a layup and Printezis scoring inside for a 28-33 lead – and a Laboral time out. 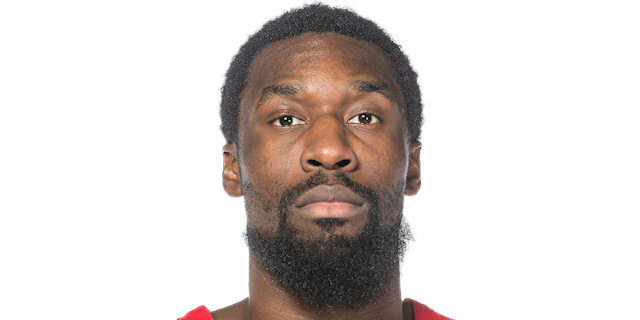 Olympiacos turned defense to offense with new acquisition Darius Johnson-Odom feeding Printezis for a fast break layup and it was 28-37 after Spanoulis free throws. Darko Planicic came off the bench for 2 free throws and a put-back and Laboral was to within 32-39. 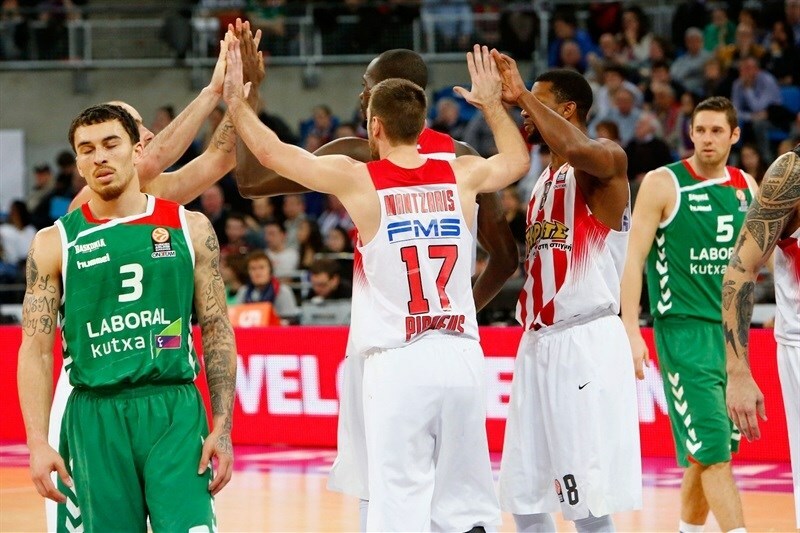 But Spanoulis nailed a three from the left wing and Mantzaris hit a free throw. Shengelia finished the scoring in the first half with a nice catch and layup to bring Laboral within 34-43 at the break. Printezis opened the second half with a push shot from the baseline and then nailed a wide-open three after some fine team passing for a 34-48 lead. Shengelia threw a lefty dunk at the other end for Laboral’s first points. But Printezis scored again, Spanoulis made free throws and Hunter converted a three-point play to push the margin to 38-55. The home team got a couple of stops and trimmed the deficit to 45-55 after 4 Bourousis free throws and a Tillie three-point play. Olympiacos called a timeout, but failed to convert twice and Laboral got out on the break for a Jaka Blazic steal and layup and 2 Hanga foul shots to complete an 11-0 run that made it 49-55. 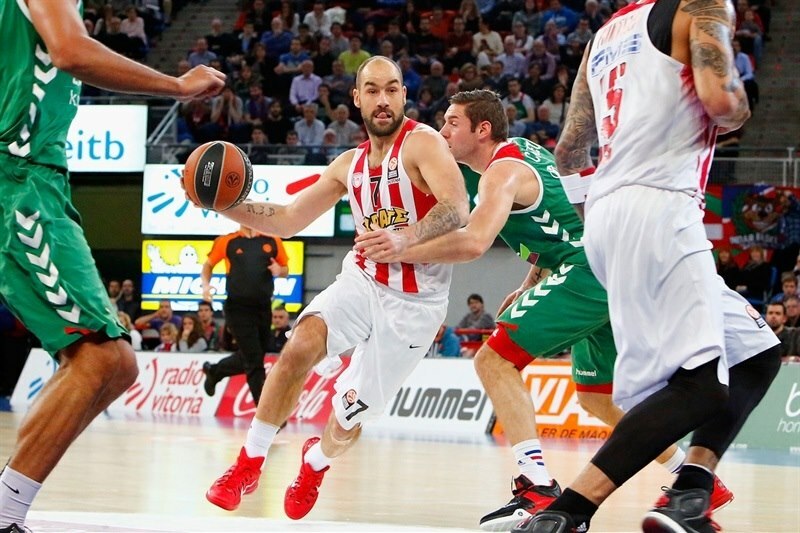 Spanoulis stopped the run with a jumper for Olympiacos’ first basket in 2:27 minutes. Mike James nailed a triple to cut the gap to 5 points, but Spanoulis answered right back with a three of his own. Mike James did finish the third quarter with a buzzer-beating jumper off the glass to make it 56-62. 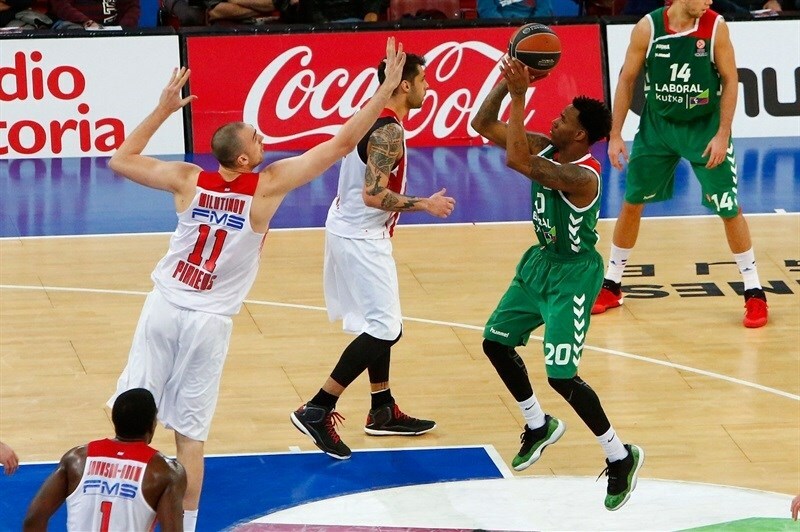 Spanoulis opened the fourth with a three and Shawn James converted a three-point play as the lead reached 12 again. Diop’s jumper finally got Laboral on the board with 7:35 minutes to play. Shawn James and Diop swapped free throws before Shawn James threw down a big dunk to make it 60-72 with six minutes remaining. Mantzaris extended the margin to 60-75 with a three-pointer from the left wing. Hanga punched right back from long range and Mike James drove in for a layup. Bourousis and Hanga combined for 3 free throws to get the margin to 68-76 with less than three minutes left. But Printezis stopped the Laboral surge and Hunter’s free throws had the cushion back at 12 points with less than two minutes left. Knowing that every point could count later in the group, Blazic hit 5 big points to finish with just a 6-point loss. "I think it was a game that our team fought hard, but we didn't have real chance of winning in the end. We got closer, we came within 6 points in some moments, but we never could get under that limit. 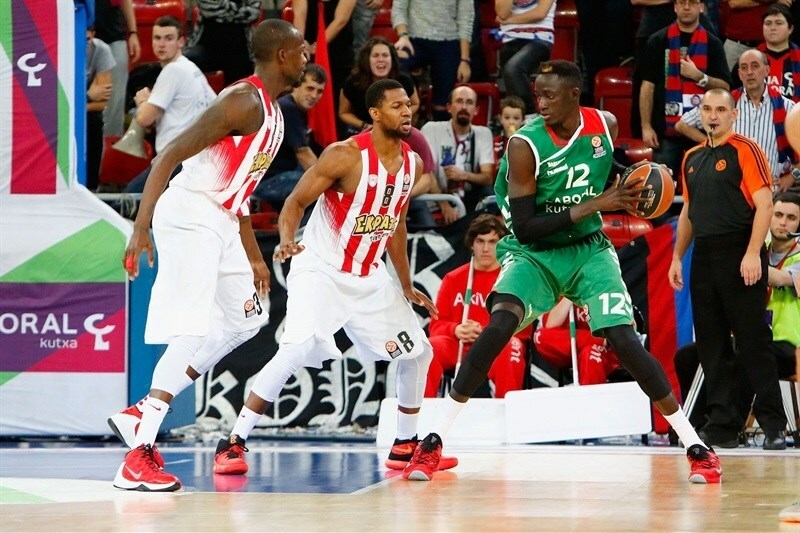 Olympiacos played a great game; they did what they needed to do when they needed to do it. They scored when they needed it most, they played a great defense in the paint, they made fouls when they needed to make them and we couldn't fight against that. They deserved the win, they played better and there is nothing left to say. The physical difference was key factor tonight, the team fought as much as it could, but we faced a better opponent tonight." "It was a very important game for us for two reasons. First of all Laboral Kutxa is a very good team, especially when they play at their home court, where they are very aggressive. Second because this group is a very tough one and winning on the road makes this achievement a very important one. They play with a lot of energy at home, they are tough here; we saw it against Real Madrid last weekend, or against Barcelona previously. We know each other very well as we shared the same group in the first round, but compared to the previous game we played here, I think we stayed more concentrated, and played better in the crucial moments of the game. We started the game very concentrated, allowed only 35 points in the first half thanks to our good defense, which gave us the control of the game. We were ahead in the third period, but we knew that they would try to react. In the fourth quarter we started strong and kept a good margin that allowed us win the game. I think that, considering how the game went, we deserved this win. I congratulated my players in the locker room because they followed the plan we had, but at the same time I told them that the way is long, so we must stay humble, work hard and improve what we still need to improve." "Basically Olympiacos played harder than us. They did a great job, they hit us from the beginning and even though we tried to come back, we were unable to finish the task. They played hard for 40 minutes, we made silly turnovers, we had to stay focused all game." "I would like to say that it really was a tough game for us. We managed to play good defense and thanks to that we controlled the game. Everyone contributed both offensively and defensively. "